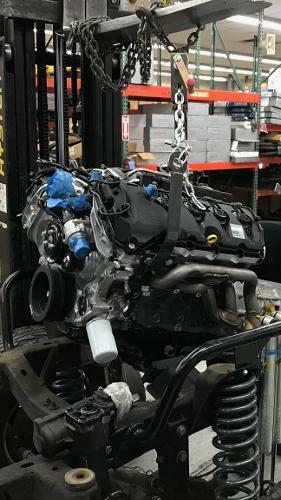 TBP's exclusive engine hoist brackets for the Coyote engine are a great tool when installing a Coyote in your Bronco. 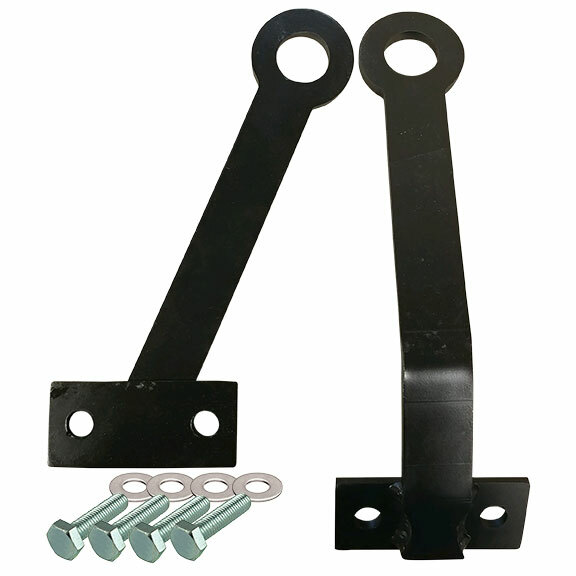 These brackets bolt to the engine and have provision to run a chain through the upper eyelets to lift the engine out of the Bronco and lower back in using a forklift or engine hoist. An extremely useful tool for your Coyote swap.